I grew up and received my schooling in Greater Manchester, after which I enjoyed a very successful spell as a Choral Scholar at the Worcester College, Oxford (including spells with the choirs of Magdalen College and Merton College, as well as Schola Cantorum of Oxford). After graduating from University, I sang in the choir of Truro Cathedral for two years, followed by two years in the Choir of Norwich Cathedral. I am now a Lay Vicar at Chichester Cathedral, where I sing with their noted choir of men and boys. As well as my sizeable choral portfolio (which includes many concert and radio appearances, as well as CD and DVD recordings and both British and international tours), I have a great deal of solo experience across both the concert and opera stages. My solo work takes me around the UK and abroad, which has included appearances in Hungary, Belgium, and the United States of America. Friendly, approachable, and professional, teaching is something I very much enjoy. I am passionate about teaching and helping my students to develop their knowledge and skills, as well as building their confidence. I run a teaching practice in the centre of Chichester, where I teach singing, music theory, classical languages and classical literature. 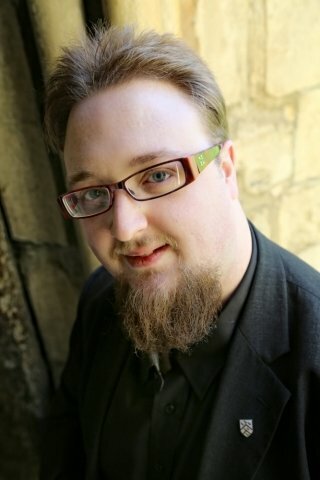 As well as teaching privately for the last five years, I have worked as a choir leader for the Choir Outreach Scheme at Truro Cathedral, as well as working as a vocal coach for New Cornwall Opera and for the Diocese of Truro, where I taught singing and musical leadership to clergy from across Cornwall. I have also worked as a Vocal Strategist for the Norfolk Music Hub, where I delivered vocal workshops and training to teachers and choir leaders in Norfolk schools. My singing teaching is based upon understanding the voice and its natural function within the body as a whole. This is an approach that involves *no* touching, and for those under 18, a parent/guardian is always invited to sit in. You are invited to discuss my singing teaching with me further. I am happy to teach singers of all ages and abilities, whether you want to work towards singing examinations, or just want to improve your technique and learn casually. I ask for a student to try their best - as long as they do, they will be met with an enthusiastic, patient, and understanding teacher. I have a fully enhanced DBS disclosure, as well as safeguarding training validated by the NSPCC. JakeFrom Lisa (5/5): Supremely qualified, organized and a motivational teacher. My daughter is performing extremely well with Jake's tuition and really enjoys his Latin sessions. Reply from: Jake: Thank you for your lovely comments! I’m delighted she is enjoying lessons, and I look forward to seeing her progress further! JakeFrom Mariana (5/5): Really enjoyed the lesson, would highly recommend Jake. Reply from: Jake: Thank you for your lovely feedback, Mariana - please tell your friends! JakeFrom Isobel (5/5): Jake is a fantastic tutor. He was very kind and friendly, and really helped me prepare for my Latin exam - he knows what he's talking about. I would highly recommend him as a tutor. Reply from: Jake: Thanks for your kind comments, Isobel, and best of luck in your exams! JakeFrom Rosemary (4/5): Jake is very competent in instruction and knows his subject well. Also a likeable chap to be taught by. Reply from: Jake: Thanks for your positive feedback, Rosemary! I think Mike is doing well, and I look forward to our continued sessions. Reply from: Jake: Thanks John! I look forward to working with you further. JakeFrom Flora (5/5): First class! Just what I need to fill in the gaps. Very knowledgeable and well- prepared… Enjoyable! Reply from: Jake: Thank you very much! I appreciate the feedback, and I’m looking forward to working with you more as the year goes on. JakeFrom Adam (5/5): Absolutely outstanding tutor. Knows his subject inside out, is excellent at teaching it and communicates a real passion for it. Moreover he is very well organised, such that he was able to help with arranging last minute sessions before exams which minimised stress at a time when this was much needed. Hugely grateful to him and couldn't recommend him more highly. Reply from: Jake: Thanks for this great feedback, Adam! You were a pleasure to teach and I wish you every success in your exam results and further studies. JakeFrom Isobel (5/5): He is an excellent tutor for Latin! He manages to pinpoint exactly what kind of help you need and changes the way you think about translating. Tutorials are always relevant and interesting! Reply from: Jake: Thank you for this great feedback, Isobel! You were a pleasure to tutor, and I'm delighted you found our sessions useful!